Write with passion and creativity when you use this stunning vintage pen! Put away your electronic stylus and go back to simpler times when writing was an art form! This magnificent pen will get you into the mood. 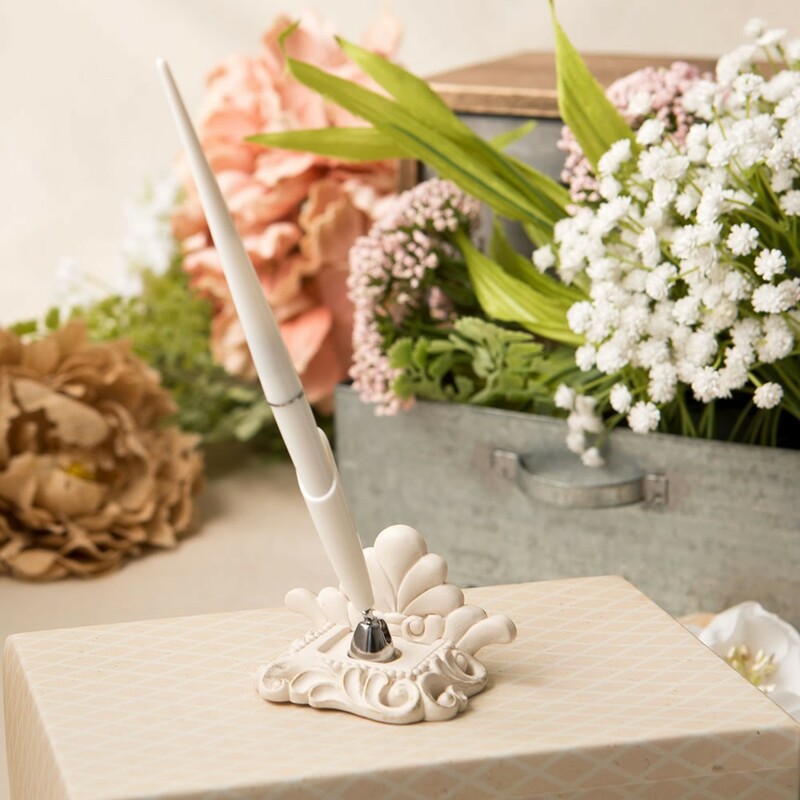 Our exclusive pen set features an ornate base with a flourish pattern crafted from poly resin. The base is painted in antique ivory and subtly accented with brushed gold leaf. 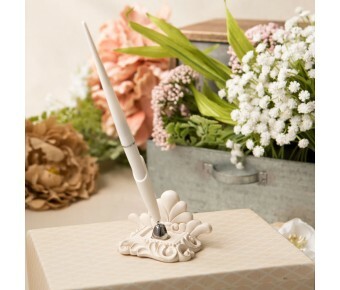 The pen is made from white plastic and fits into a white plastic base that sits on a silver metal swivel bottom. A fabulous antique piece that will look stunning on an office or home work desk! Size is 2 3/4" x 6 3/4"
A lovely desk ornament and a functional item in one!